I learned a great secret! The other day my lady was cooking up a delicious meal and I decided to sit in the sun and read one of my favorite books. 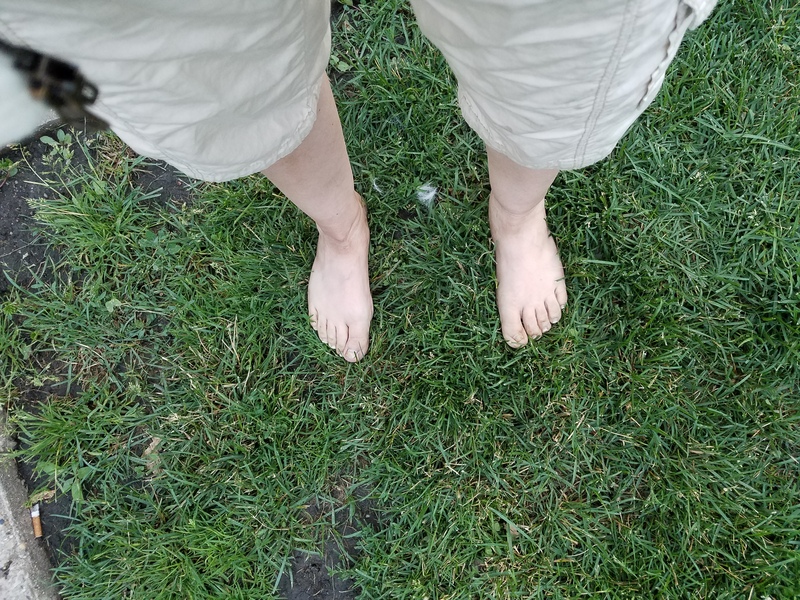 About halfway through my time reading I decided to take off my shoes and put my feet in the grass. I had not done that in years. In our busy lives we can become disconnected with some of life’s simple pleasures. Between the good book I was reading and the feeling of the grass between my toes I felt amazing. What have you not done in a while? I suggest revisiting different aspects we have gotten away from. I also suggest getting back in touch with nature. Is there a favorite tree you like? Get out and walk up to it. Grab the kids or the one you love and go for a walk in the park. Maybe just go for a stroll yourself noticing nature. Hear the songs of the birds. Feel the wind blowing against your skin. See the trees on the horizon and notice how beautiful they are. Literally stop and smell the flowers. Please share with us things you haven’t done in a long time that you may enjoy. Take those shoes off and walk around the grass!